When we first got super serious about this gluten-free thing, my kids weren’t so excited. We’ve been down this road before and slipped all over the place like a school of fish on a waterside oiled with butter… mainly because I wasn’t totally committed to being all in. But now? I couldn’t be more in if Martha started a GF network and I were the star of the show, yo. So, imagine what my boys thought when I brought them a shake for breakfast. They thought my already loose marbles had come spilling out my ears one by blessed one. But they didn’t argue. They just lapped it up. I did too. Times two, to tell the truth. 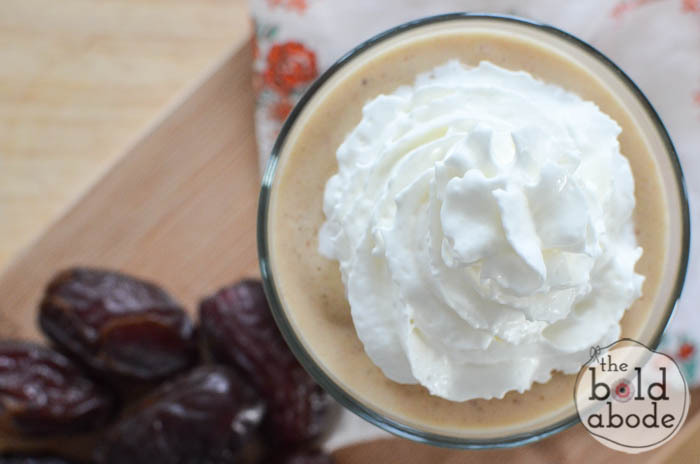 A sweet banana almond smoothie you can have anytime! 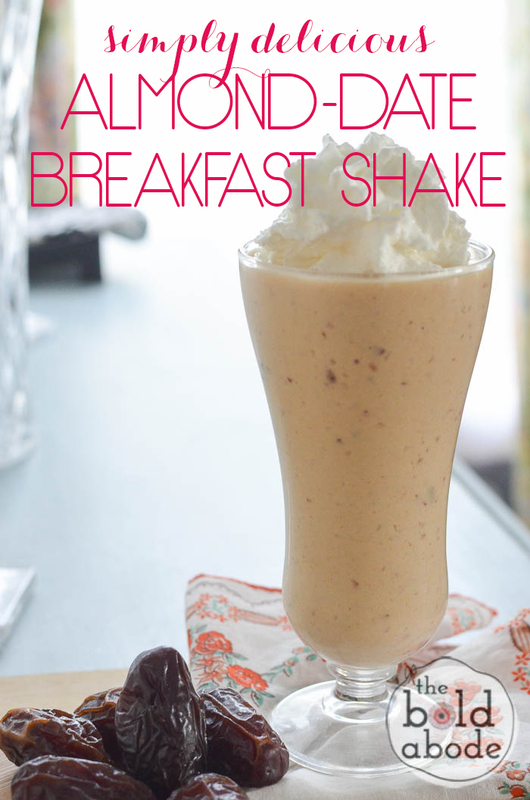 Blend bananas, dates, nut butter, vanilla and milk. When thoroughly combined, add ice a few cubes at a time until you reach a very shake-like consistency. Pour into 4 glasses and top with whipped cream, if desired. This shake is near the top of my list of things that make me go yum. Would you eat this in a box with a fox? Oh yum! This sounds awesome, you are so creative when it comes to food … and everything else for that matter! I’ve loved using Almond Milk lately…definitely adding this one to the recipe box! We love our Almond Milk! It’s wonderful! I would drink them in a pen, I would drink them, count them: ten! I would drink them with a hen, I would drink them, yessiree, Gwen! I would drink them in a gown, I would drink them in the town, I would drink them on the beach, any where that’s within reach!!! Paleo and I would marry this! Haha! It’s SO good, Suzan! I love this shake. Today I added a tablespoon of cocoa powder per serving and let me tell you, it sent me over the edge. Yum 😋 I want to drink it all. day. long!